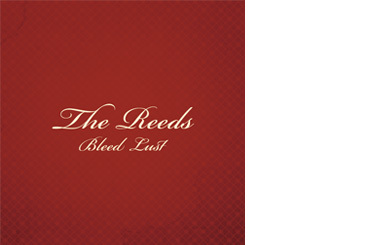 The Reeds have been formally dis"band"ed, but fear not. The same lovable losers are enjoying the lap of luxury in the Music City and have begun a new and far greater endeavor dubbed "Perfect Southern Gentlemen". Look for them on your block and to be dating your daughters soon! Hello all, The Reeds are still together and working on new material in Nashville, but in the mean time Josh has been playing lead guitar with his good friends in The Benjy Davis Project all throughout the spring. Check out their dates and catch a show! Also, check out Ben's bad a** version of Peter Frampton's "Do You Feel Like We Do". The Reeds have taken up residence in Nashvegas and will be out playing soon. Please check this site and others above to keep up with us. Recently we submitted our music to be one of sixteen artists to play for eight different music publishers in Nashville. We are honored to have been selected and we will be in Nashville to perform from June 25-27 at the Bluebird Cafe in Nashville, TN. Thanks to Barbara Cloyd, who books at the Bluebird Cafe, for making this happen and for all her great feedback! What up friends, thanks for your devoted fanship. Next week we will be instituting a little something my friend Jim likes to call "Threedsday". It will basically be our monthly newsletter/link to various web conquests. We'll update you on our exciting journey, upcoming events and collaborations. Did someone say The Jonas Brothers? Also The Reeds will be appearing live in concert on June 12th at 11:00 pm at Smith's Olde Bar. Hello friends. We will be having our full band Atlanta CD Release Party on Friday, September 26th at Smith's Olde Bar. It will be our first band show together and we are really excited. We'll be playing songs off our new record, some even newer songs, and maybe a cover or two. Look for our Athens CD Release to be in late October/ early November. As always, thank you for your support. Hello everyone. Thank you to everyone who voted for us in the Dave FM Searcharoo contest. We were selected to the final four out of 300 submissions. We got the most votes out of the top four, and had an amazing chance to perform at the Virginia Highlands Summerfest in June. We have some great shows coming up and are planning a CD release party in Athens and Atlanta this fall. See you soon! PS - Here are some articles with some kind words about us. Your email is required, just your name, and the name of our band. Please invite your friends to vote too! PLEASE! Thank you so much for your support!!! Hello everyone. We have completed our new record and it is now available. We worked really hard on it and we really think you will enjoy it. A CD release party will be coming in about a month so stay tuned. Please take a listen and sign up for our mailinglist above. We are in this for the music, and as a result you can download our songs here for free. All ask that you support us by coming out when we play near you. If you would like to support us financially, our music is available on cdbaby.com and iTunes. CDs are only $5, or .99 a song. Thank you for listening.